Now you have the nation’s attention. Time to reel off a few home truths about the bankers! Looking straight down the camera, you decry the evils of capitalism. 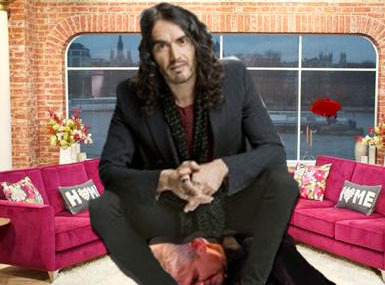 Crucially, you do it while sat on Phillip Schofield. He squeals like a Cantonese piglet and the video spreads like wildfire! Time to build on this win by Heading home to record an episode of The Trews! LOL I am never going to be you, nor do I want to. But playing you was fun, as promised. Thank you.<3 God bless you and your family and all that you do, aren´t you already crucified? Love and hugs.